At one point or another you may have been offered an engine decarbonization service while having your oil changed or during a routine repair. In this article we unpack what an engine decarbonization service is, whether or not it’s appropriate for your vehicle and what products we at SCL recommend to keep your engine running as smoothly as possible. 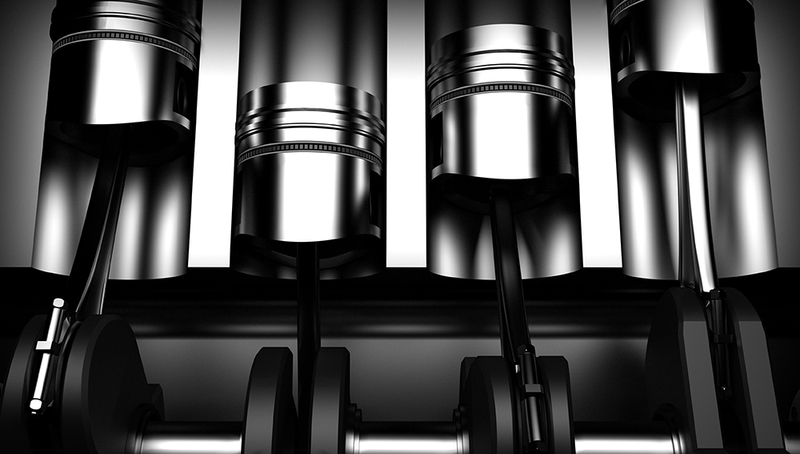 Gasoline and diesel engines will over time develop carbon deposits within the cylinder walls, cylinder heads, pistons, around exhaust valves, and on the intake and exhaust manifold as a result of the low quality unadditized fuels, driving patterns and improper combustion. With this build up you may see valves not closing all the way, exhaust sensors malfunctioning and engine misfire from spark plugs fouling. Over time, you may notice lowered fuel efficiency within your vehicle’s engine and a notable loss of power. In extreme cases, black soot deposits will be visible from the exhaust pipe. An engine decarbonization service is a preventable maintenance operation that is typically done at around 50k miles – before the engine has accumulated a significant amount of carbon residue. Engine decarbonization services and products can be either chemical or physical. Chemical decarbonization consists of introducing a chemical compound – generally a solvent – through the engine via fuel to break down and remove carbon residue and deposits that exit the vehicle via exhaust gases. Physical/Mechanical decarbonization is optimal for engines that have a significant amount of carbon buildup, but they can be costly and are often only used when a chemical approach is not sufficient. Physical decarbonization requires the cylinder head, intake and exhaust valves removed and the exhaust pipe removed and thoroughly cleaned with high-pressure water so that carbon residue can be physically “scrapped.” Manually scraping and tapping of certain components such as the muffler may be necessary in instances where carbon residue is extreme. Carbonization in your engine can gunk up your fuel injectors, and engines are built really specific to timing. When one of your injectors is off, the timing of your engine is off, and as carbon builds up on your fuel injectors, volume of fuel being sprayed goes down, not unlike a clogged spray bottle full of water. In your engine, a spray of fuel exits the injectors and spreads out, creating a clean, consistent burn or a partial burn. When you light that on fire you have a better spray, burn and explosion – combustion, hence better fuel economy. When your fuel stream is weak, you’re using more fuel to compensate, which can add up over time. People may not understand the mechanics of an engine, but they understand prices increasing at the pump. An engine decarbonization service is an productive way to maintain your injectors to keep fuel efficiency high. The Petra line of products includes Petra Power Fuel, Petra Fuel System Cleaner, Petra Air Intake Cleaner, Petra Octane Boost, Petra Ethanol Fuel Treatment, Petra Superior Injector Treatment, Petra Air Intake Cleaner, and Petra Fuel Power II.